Babies use gestures and facial expressions, words, tone of voice and other vocal sounds such as crying and babbling to communicate. This is the beginning of learning language. Most children learn language very quickly. Your newborns cries are reflexes but your baby will soon begin to show how she (or he) feels with different cries. By their first birthday, babies can usually say a couple of words. After that, they learn to say more words very quickly. By the time they are five, children have a wide range of language skills that allow them to give, get and understand messages using language. Children learn language for many reasons. At first, it is to ask for things, to tell when they don't want something, to greet others and to ask for comfort. Later, children use language to direct your attention to something that has happened or something they find interesting. They also use language to learn how to read and write. These are just a few examples of how children use language. Talking to and listening to your baby are important to her language development. 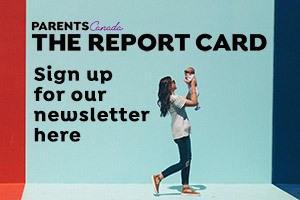 How you interpret what your baby is trying to tell you and how you respond to her has important effects on how well your child learns language. Learning to take turns is important in developing language. How you respond to your baby's gestures, gaze and speech is also important. When you copy your baby's sounds, and when you talk to your baby and wait for a response, you are teaching her about language. It also helps your baby try new ways to make herself understood. Most children follow the same steps in developing language skills, but some learn more quickly than others. A cry is a baby's first way of communicating and is the first step in language development. Crying begins as a reflex, and babies learn that it is a way to let adults know when they are uncomfortable or upset. Facial expressions and body movements also give you clues about what babies are feeling. Using songs, rhymes and comforting tones in your voice, as well as rocking, looking and smiling at your baby, will help her feel that you understand her. At this age, your baby has different kinds of cries for hunger, or tiredness or need for comfort. Babies often coo when they are cuddled or comforted. This begins at about two months, followed by babbling between three and six months. Babbling is when babies string sounds together, such as baba and dada. When you name the things your baby looks at or touches, the baby starts to understand what the words mean. You can do this while you are bathing your baby or changing a diaper. Show your baby picture books during quiet times, and talk about what's shown in the pictures. Babies can understand some of the words they hear often. They usually say their first words at about one year of age. Then, language development progresses very quickly. They start using more and more words, gestures and facial expressions to communicate with others, and they understand more of what is said to them. Sometimes, babies sound like they are telling stories because they are already able to use the same rhythms and sounds used in their parents language, even though they are not using real words yet. Simple songs and nursery rhymes with actions babies can copy are good activities at this stage. Some popular ones are Row, Row, Row Your Boat and If You're Happy and You Know It, Clap Your Hands. Talking about what you are doing lets your child see how language is used to describe the world. By 18 months, children can usually understand and answer simple questions. They can show you a familiar object, and they can point to body parts when asked. At this age, children usually can use at least 10 words and also use gestures to get their message across. They may use common phrases such as all gone or Oh no. You can help your child's language development by adding words to the ones your child uses. For example, if your child says car, you can reply with big car. This helps your child learn and use two-word phrases. When you talk to your child about things in picture books, repeat the words your child says the right way. For example, if your child says tup, you can say Oh, you want the cup. By the time children are two, they may use many words and can speak in two- and three-word phrases. They understand a lot of what adults say to them. They can point to pictures of people and things they know. To help their language develop, you can ask your toddler simple questions and wait for a response. For example, say Where is the ball? and then wait for your child to point or tell you where it is. Toddlers love to sing songs and copy the actions and words in the songs. They love listening to you describe what you are doing during simple everyday activities. For example, when making toast in the morning, you could say, POP goes the toaster! Your toddler may laugh and repeat the sound, and look forward to hearing it again the next day. By this age, children can usually make five-word sentences. They can ask questions, and their speech is clearer so most people can understand what they are saying. They can follow directions with two steps, such as, Pick up the ball and put it in the toy box. When you ask your three-year-old child questions like Where's Daddy? she can usually answer. Children at this age usually understand number words and what they mean. For example, when you ask your child for one block, she probably will give you one block, not three. At this stage, you can encourage language by describing things in longer sentences. You can help your children understand words like different and the same, or bigger and smaller. Count things with your children, such as blocks and toes. Read with your children as often as you can. Take turns talking about the pictures in the books. Talk about colours. Use words to describe where things are, like under or on or beside. Rather than correcting your childs words, reply using the right words. If your child says Me want dake, you can say I want cake, too. At this age, children can usually follow directions with three steps, such as Go upstairs, get your book and put it in your bag. They can tell adults a story and remember details. Children at this age start to guess what will happen next in a book or story. Most of their sentences are at least four words long. You can help your children by encouraging them to make up and tell stories using puppets, pictures and stuffed animals. By this age, children can usually understand longer directions, such as When your friend gets here, hang up her coat, put her boots in the closet and then come downstairs for a snack. Your child will understand words like cold, hot, soft, hard, high, low, tall and short. These children can usually point to colours when you name them and understand numbers, such as Give me four straws. They can express themselves using complete sentences and explain what words mean. They can say the days of the week in order and explain how to solve simple problems. Ask your children to tell you about their days with open-ended questions, such as What story did you hear today? They can also talk about what happened yesterday and what might happen tomorrow. 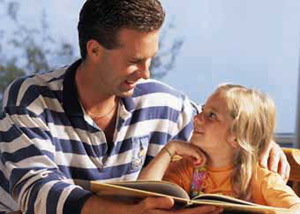 Try to read longer stories to your children, and talk about the stories. Encourage your children to make up stories and tell them to you or act them out.